One of my big tasks as a paleo husband is to try and recreate my wife’s favorite childhood meals. Carolina always misses her mothers recipes, but most of them aren’t paleo friendly. One of her favorites is stuffed zucchini. It’s mostly paleo, except those darn breadcrumbs and cheeses that keep the meat inside from being just a blob of seasoned beef. It turns out, though, that almond meal works great as a substitute. And with the right seasoning, you don’t even miss the cheese. 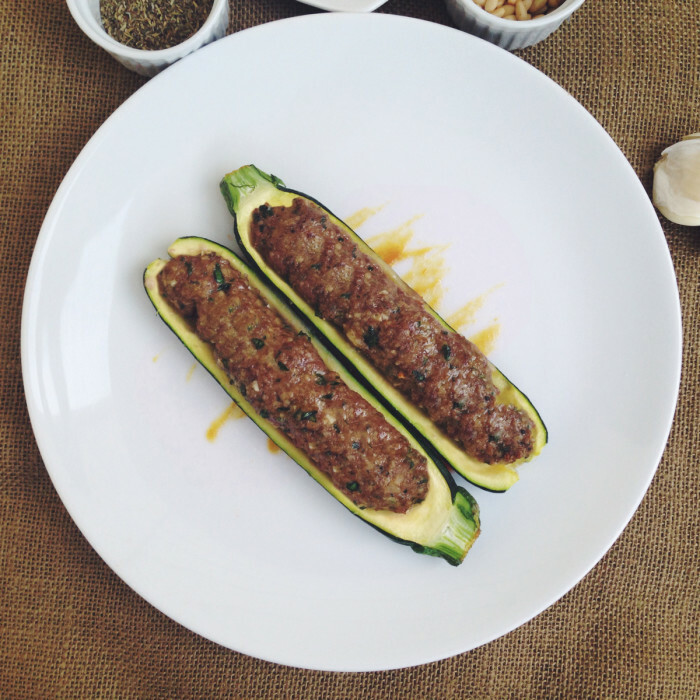 You’ll love this paleo stuffed zucchini recipe—from the flavor to the process of making your own zucchini canoes. Start by slicing your zucchini down the center—hotdog bun style. Feel free to chop off the ends of the zucchinis since those parts aren’t very edible. Using a spoon, scoop out the seeds and soft flesh of the zucchini. Leave a little of the light flesh so it isn’t just skin. But make sure the seeds are completely gone, otherwise your stuffed zucchini will have a lot of excess water. 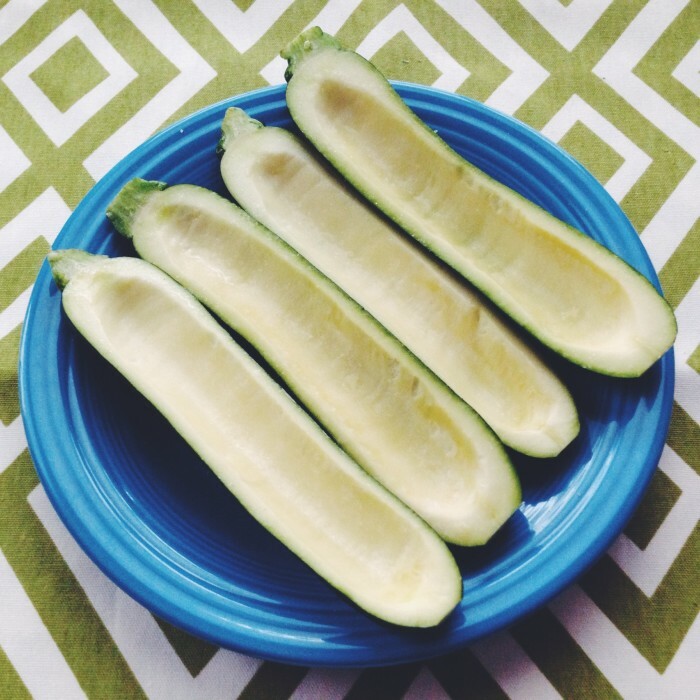 Sprinkle some salt on the zucchini canoes and let them sit. The salt will draw some of the water out of the zucchini so it won’t be soupy. In a bowl, prepare the meat mixture. Scramble the egg inside the bowl, then add the ground beef, almond meal, chopped parsley, and chopped garlic. 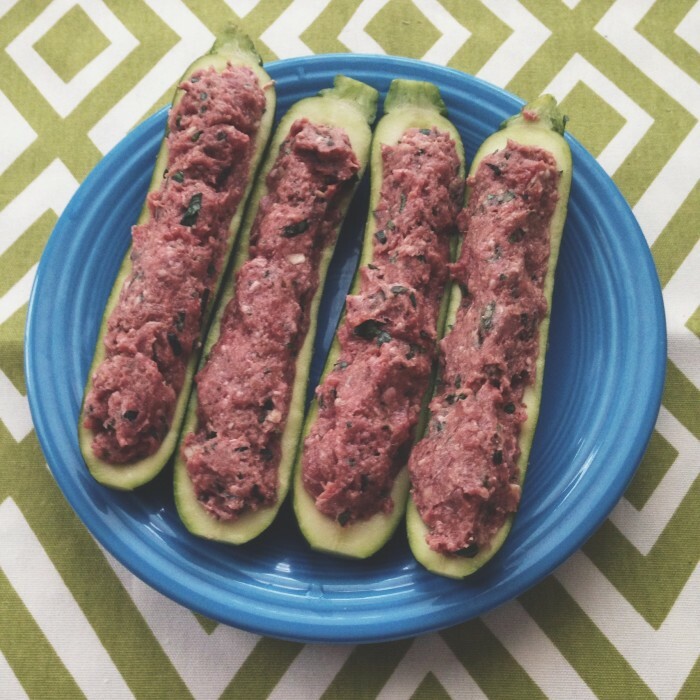 Mix it all together and set it aside until you’re ready to build your stuffed zucchini. Add 2 tsp of salt and some freshly cracked pepper to the mixture right before you stuff the zucchinis. Use a paper towel and dry off the zucchini canoes. (There should be a lot of water sitting on top and inside them.) Once they’re dry, started stuffing the meat inside. Divide the meat mixture evenly between all eight zucchini canoes. Then transfer the uncooked zucchinis to a cooking sheet and cook them for 30 minutes. 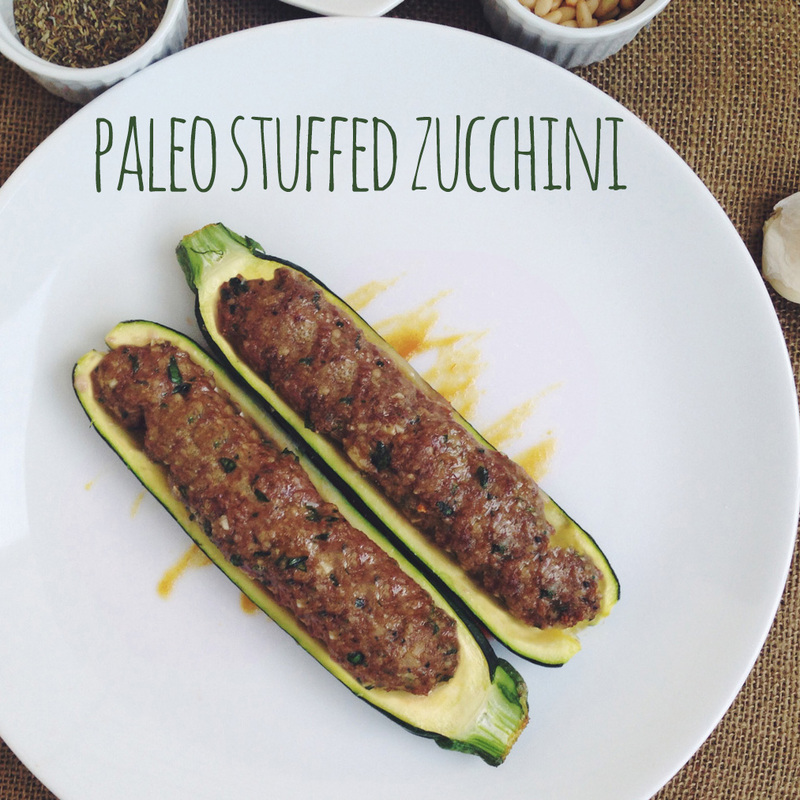 Once the paleo stuffed zucchinis are cooked, drained the zucchinis of any excess water and serve. I cut a small slit in the bottom of the zucchini boats to allow the juice to drip out of the stuffed zucchinis. The meat retains a lot of moisture as does the zucchini, so don’t worry about them getting too dry. I bet these would be really good with the roasted red pepper sauce!